Unfortunately this is not a real come back for the Avenue Theater. However, it is being given a new face that is much more appealing than the plain white wall that has been here for a number of years. 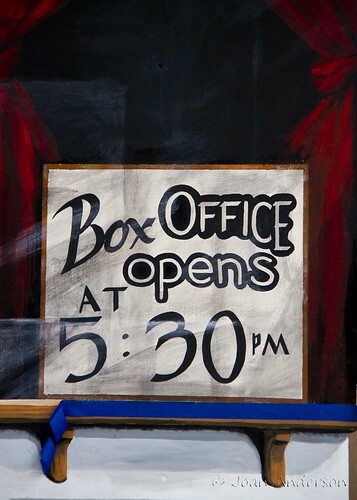 The redux looks just like an old theater, there's even a sign for the box office opening. 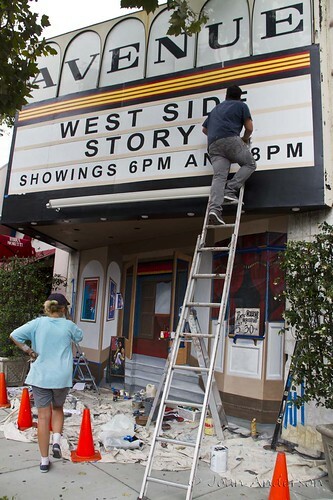 According to the artists, the facade should be completed by this Sunday. 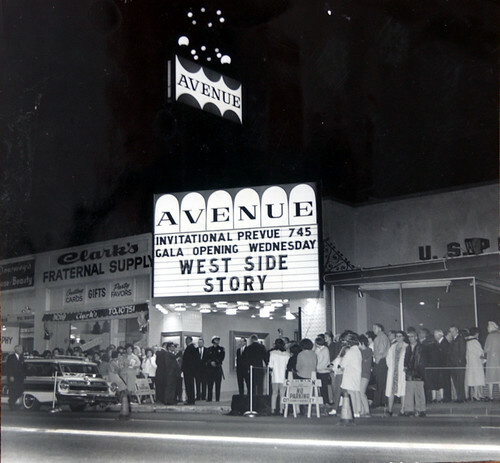 Originally built in 1922, the theater had several names before it eventually became the Avenue in 1948. I can remember coming here as a young child and continued the practice with my daughter (although by then it had become a second-run theater). It eventually closed in 2003. The Downey Conservancy has a petition in process to save this historic landmark. If you are interested in signing the petition click here . Here is a what the theater looked like in the 1960's.